• Unlimited practice and play at the amazing course at Paiute. • Lunch with your PGA/LPGA professional each day. • The ultimate golf learning experience®, with 18, 24, or 30 hours instruction with your Bird Schools Professional. • All taxes are included. 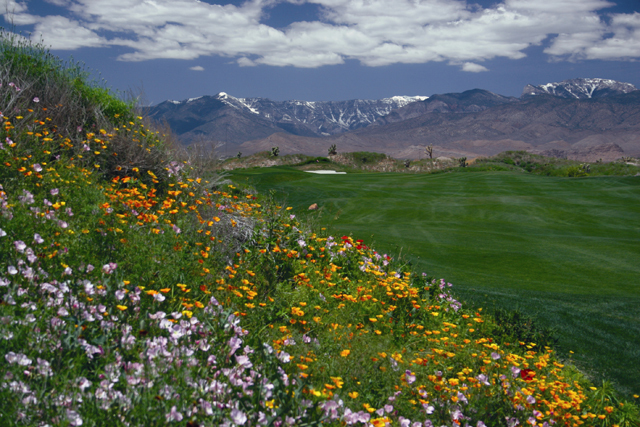 Bird Golf’s Las Vegas golf school students are treated to three spectacular, Pete Dye courses. The Wolf, which is the longest course in Las Vegas, and is highlighted by the stunning island green on the fifteenth hole. Karrie Webb and Annika Sorenstam officially opened the course by competing in Shell’s Wonderful World of Golf, and shot 64 and 65 respectively. Sun Mountain, which is a kinder, gentler Dye design, has sweeping slope changes, idyllic desert landscape and monstrous mountain backdrops. Snow Mountain, the original 18, features traditional Dye railroad-tie bunkers and water hazards and with four sets of tee boxes is fun for our Las Vegas golf schools students, of all skill levels. Bird Golf school students are able to work on their games in state of the art practice areas. The Bar and Grill offers panoramic vistas of the Sheep Mountain range and our golf school students relish the daily specials created by the chef. 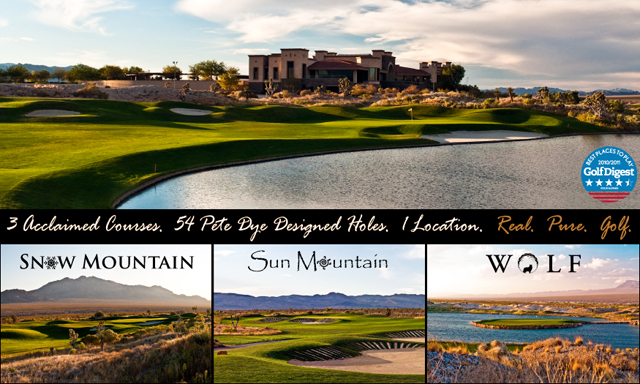 In all ways, the Paiute Golf Resort is the perfect venue for your Las Vegas golf school. After your golf school day, relax and unwind at the nearby, luxurious JW Marriott Las Vegas Resort and Spa. Featuring 560 square foot deluxe rooms, whirlpool bathtubs, separate showers and “Revive”, the luxury beds in all the rooms. The Resort has 6 restaurants on property, and all the superb amenities that come with the JW brand. Bird golf school students relish the full menu of superb Spa treatments at The Aquae Solis Spa which is a perfect place to land after a full day of learning. The resort also has two incredible, 11,000 square foot swimming pools, shops and of course…a casino. After all, this is our Las Vegas golf school, so a roll of the dice may just be the order of the day.